Beware the shark infested waters of the SEO and IT industries. If, like me, you have put many hours of love and learning into your website, tweaking and redesigning until it sells driving lessons. If you have slaved yourself doing SEO until it's on the front page then gone independent when it starts to bring enough work in then you care about it like it's your own child. It's a huge part of my driving school business now and without it the future is a lot less certain. I employed the services of a web designer some years ago and in the beginning he was so enthusiastic and helpful. Couldn't do enough for me it seemed. As time went on he stopped answering calls which led me to solve my own problems and I learned a lot about websites. I like designing my own site and updating it when I want. One thing I didn't get involved with was domain hosting. I'd rather pay someone a small fee to do that. Until now. For the last couple of years the domain registration has been allowed to expire. This means the site gets blocked and can't get any visitors and so can't generate new pupils. Quite a serious situation for the independent driving instructor. I have to call and text the web constantly until the site is back up. It worries me when it's down, it really does. This time the site was down for about 5 days. During this time the phone stops and the site starts to slide down the Google rankings. After a couple of days texting the man I was assured that the site would be up within 48 hours at the very most. When it didn't get back online I tried to sort it myself but didn't have the passwords or account details so I'm effectively helpless to do anything. I had a look at the web designers site and there is no evidence at all I'm dealing with a legitimate company. No photos of anyone on the creative team. No customer reviews. There's even a blog that has no posts in it. Not even a welcome post. It made me very suspicious. There's no Google business page or facebook page to show customer interaction. Nothing you'd expect from a functioning business. In the 4 years I've been dealing with this imaginary company I've only ever spoken to one person. I really think this is one guy on his own. I tacked down the bloke on facebook and after putting a face to the name I became a bit less nervous. After phoning the hosting company but they could do nothing without username and passwords. I then studied what I needed to know about running the account for myself and asked him for the account info. No reply so I told him of my intention to contact trading standards and two hours later the site was up and running. Still no account info but I'm determined to get it and run the thing myself. I have used SEO companies before but found them to be well shady and unclear about what they are selling me. 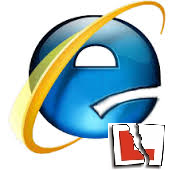 I would advise any driving instructor to take control of their online property and run as much as you can yourself. Don't get held to ransom by someone you'll never meet. Where do I find driving lessons in Nottingham? How do I find a driving instructor in Nottingham?